19BOX(JUKEBOX) RECORDINGS has been the home of countless artists who have been looking to jumpstart their careers, or generate buzz on already established careers. 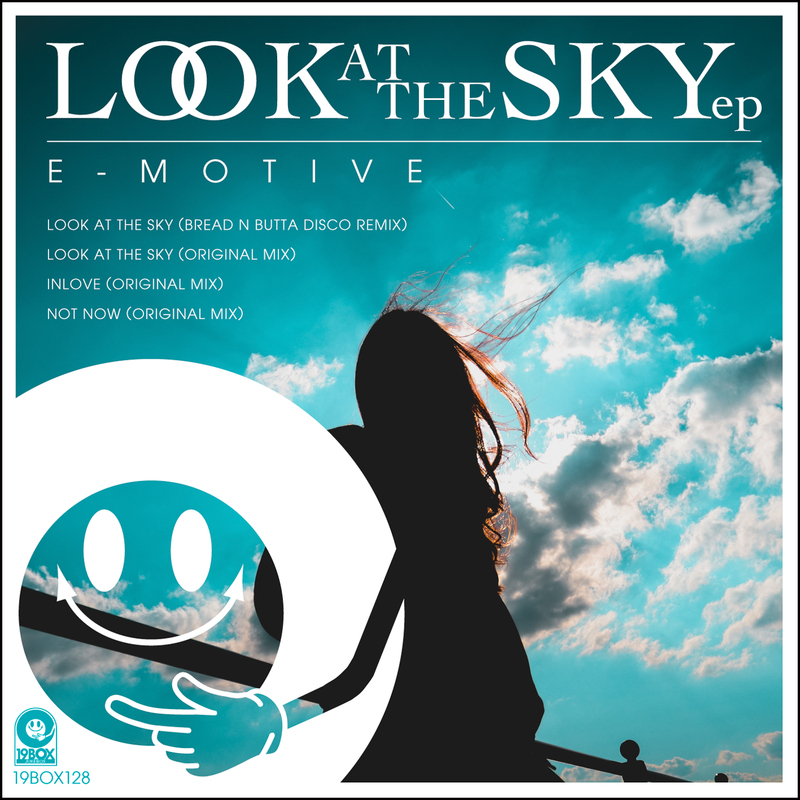 Let us introduce you to E-Motive, who makes her debut on 19BOX RECORDINGS with 'Look At The Sky EP' showcasing the flavors of Mediterranean area. Heading the package is remix of 'Look At The Sky'. Originally from South Africa but residing in Calgary, Canada, Bread N Butta is an alias for composer Enoque Carrancho who started the project as an outlet to express his love for more soulful 4/4 music. His other work, falls under the aliases of One Less Of Them and Enno Karr. Bread N Butta injects his own touch into the original with pitched up strings, dance-y piano, soft atmospheric rhodes and smooth bassline. The music production project of Julia Kiryak from Russia shows her worth with this chillout EP. We're proud to present her work and look forward to what else she has in store.